Once referred to as Billings Plain, the residential community of North Quincy boasts numerous single family homes. North Quincy, in Quincy, Massachusetts, is bordered by the neighborhoods of Squantum, Montclair and Wollaston. Comprised of the smaller neighborhoods of Atlantic and Norfolk Downs, North Quincy is separated from Boston by the Neponset River. Quincy is known as the City of Presidents and has a long rich history preserved in its many historical points of interest. Home to 2 United States Presidents, Quincy not only has several impressive museums, but it also boasts breathtaking natural beauty. Quincy has 27 miles of picturesque coastline and beaches as well as acres of lush parks. Buy a home in North Quincy and enjoy all that Quincy has to offer its residents, including easy access to downtown Boston and all of its advantages. North Quincy is not only a great place to live, but it is also a great place to work. Major employers in North Quincy include Blue Cross Blue Shield of Massachusetts, as well as State Street Corporation. Students in North Quincy are served by F. W. Parker Elementary School, Atlantic Middle School and North Quincy High School. Some of North Quincy residents’ favorite restaurants include B Cafe, which serves Japanese teppanyaki and sushi, and the Coffee Break Cafe, which specializes in specialty coffees, chai, tea and more. 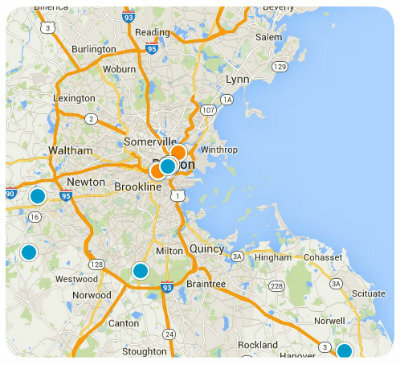 With all of Quincy’s great amenities, North Quincy is a great place to buy a home in the Boston metro area. If you would like more information about Quincy, Massachusetts real estate, particularly the homes for sale in North Quincy, please do not hesitate to contact us today.